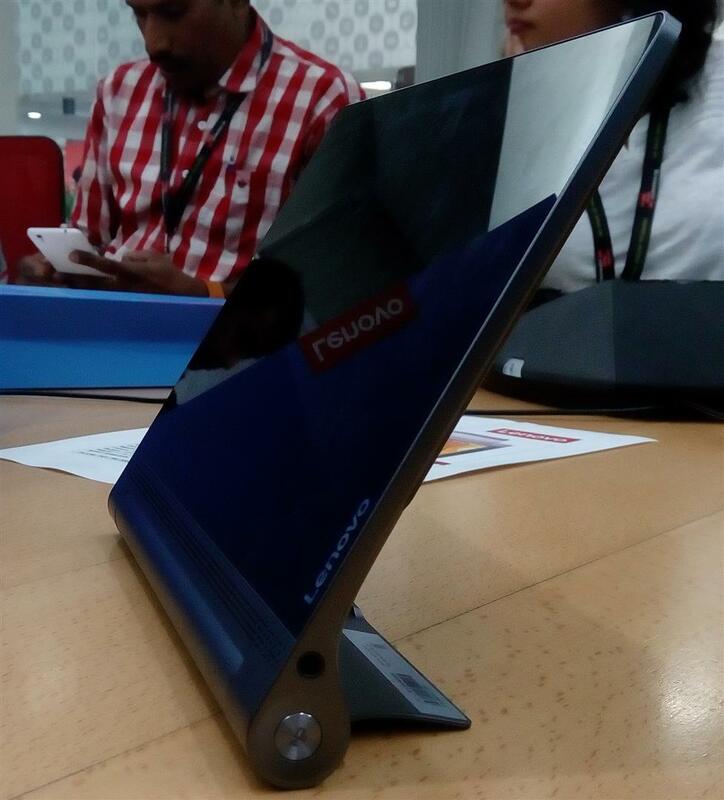 Lenovo India unveiled the latest line-up of its award wining YOGA devices today, the YOGA 900 convertible laptop and YOGA Tab 3 Pro (10) Tablet. The YOGA Tab 3 Pro’s main attraction is the the inbuilt projector which beams upto 70″ screen providing the home theatre experience to end users. Consumers can watch movies, play video games, browse web on the move. 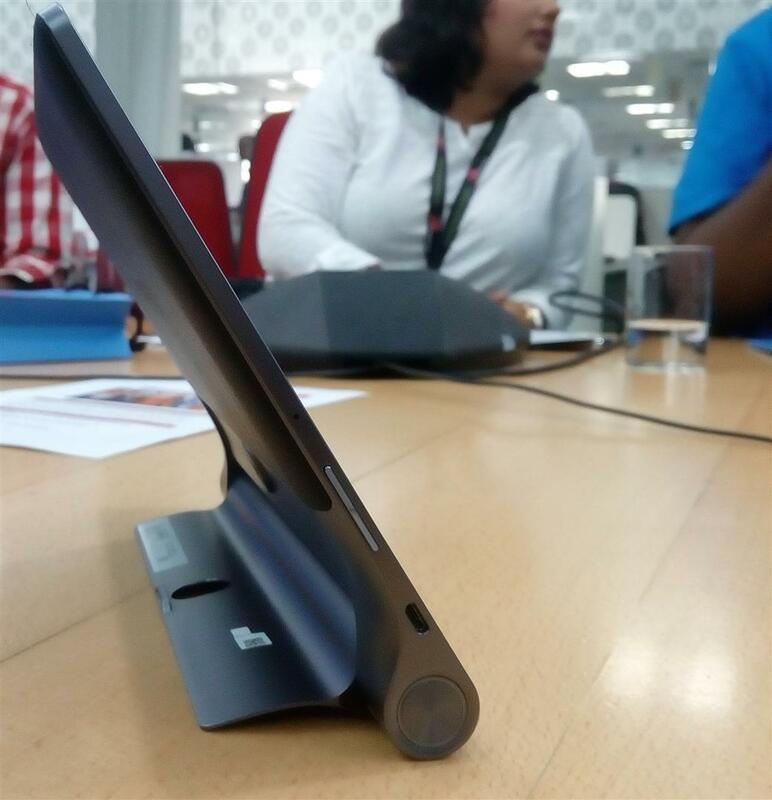 The tablet flaunts a better optimized projector placement which is 180 degree rotatable. 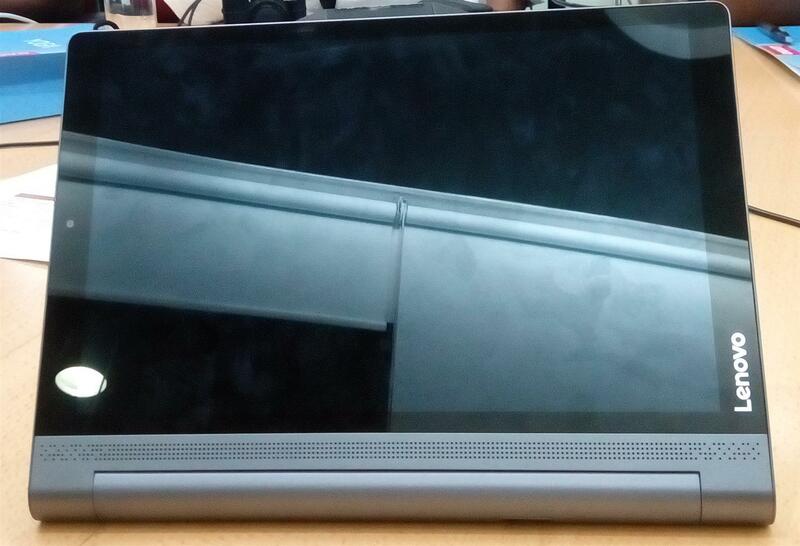 The Tab 3 Pro comes with a 10.1″ QHD display providing resolution of 2560×1600 at 299 ppi. Backed with a powerful inbuilt JBL sound bar and Dolby Atmos technology, makes it fun to watch multimedia content with excellent sound. 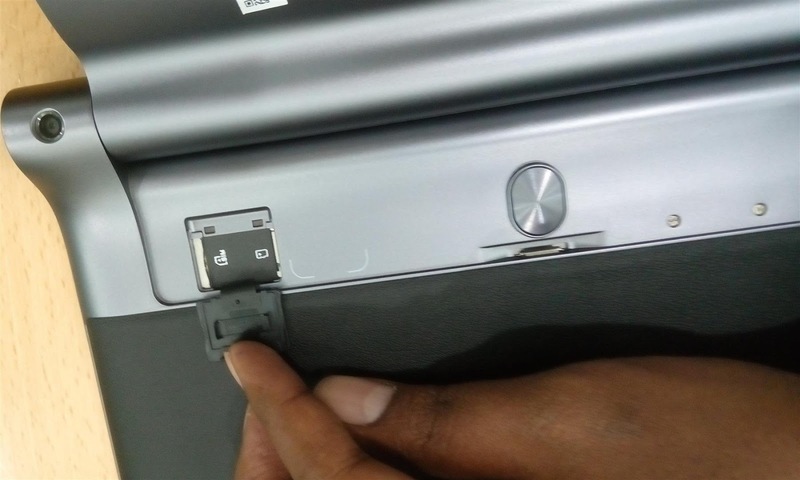 Lenovo captions this Tab as “The world’s smallest home theatre”. The YOGA Tab 3 Pro (10) is powered by an Intel Atom x 5-Z8500 Quad Core processor upto 2.24 GHz, backed with a 2 GB LPDDR3 RAM. The device comes with Android Lollipop 5.1 and internal storage of 16 GB (PS: We had a trial unit with 32 GB internal storage, but as per the company official, there is some mistake and and 16 GB models would be available in India), The device also comprises a 13 MP Auto-Focus rear camera and a 5 MP Fixed Focus front camera. The devices is backed with a powerful 10200 mAh battery which can stay awake upto 18 hours and 49 days standby. The device allows you to charge other devices too. The YOGA Tab 3 Pro is priced at 39990/- in India and would be available exclusively on eCommerce portal Flipkart. The device comes weights around 650 gm and also has a Micro SIM card support. First Impressions: Very neatly designed device and makes you instantly fall in love with it especially for the projector and the clarity it offers. Performance is decent enough and we didn’t find any sluggishness while playing back a Full HD video. Sound quality is really good with Dolby Atmos Feature ON. 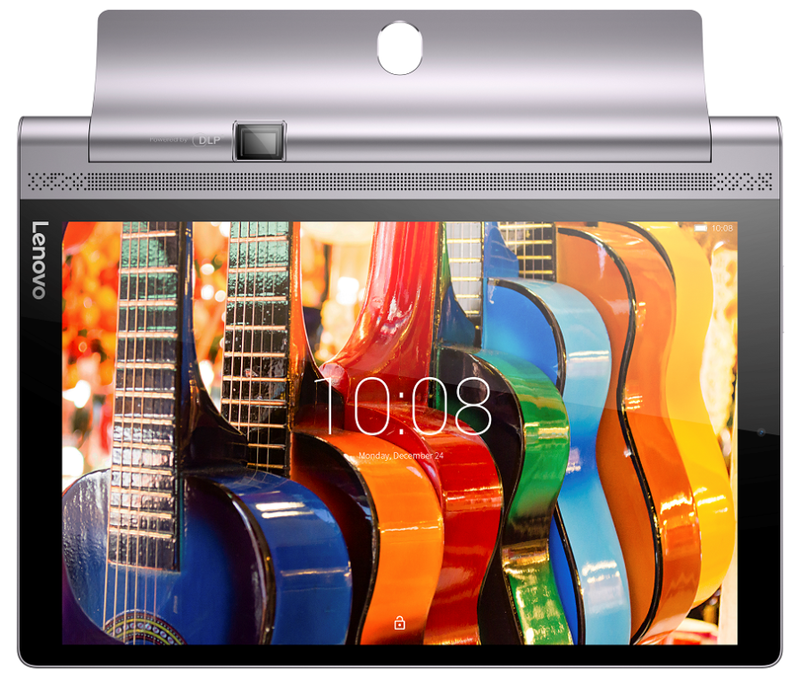 Display is clear and bright with great viewing experience at different angles. With the limited time which we spent with the Tablet, we totally loved the device and performance which it offered. We can’t comment if the price of Rs. 39990/- justifies for the features this tablet offers without extensively checking out and analyzing the tablet completely. We will provide detailed review of the product if we get a chance to play around with the same for some days. Stay tuned for the same.